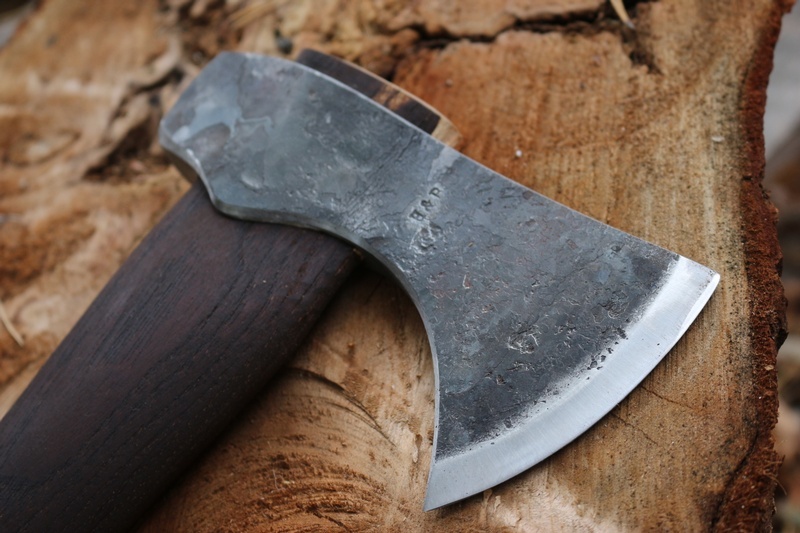 Hand Forged in the USA! 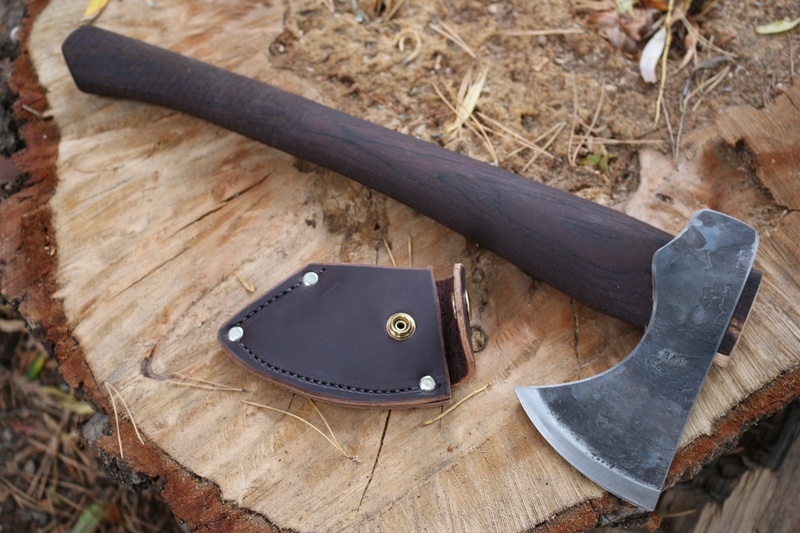 Struck by hand in a traditional forge, based in Ohio, the Hickory handles turned, and the leather sewn by a local Amish community, these are proper North American Made Axes. 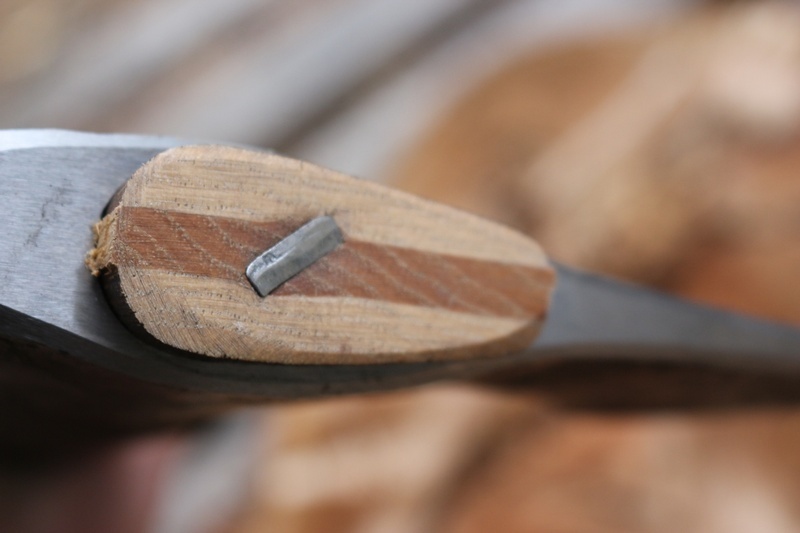 The steel head is 1018 with a 'bite' of 1095 HC steel, single bevel (slightly convex) making these a durable, quality tool for the Forests of the 'Great North Country'.... Canada! 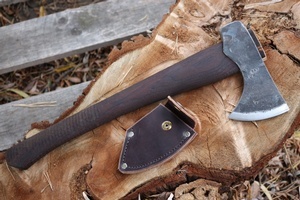 A great camp and Bushcraft Axe, great for woodwork aswell, handy and very well balanced. 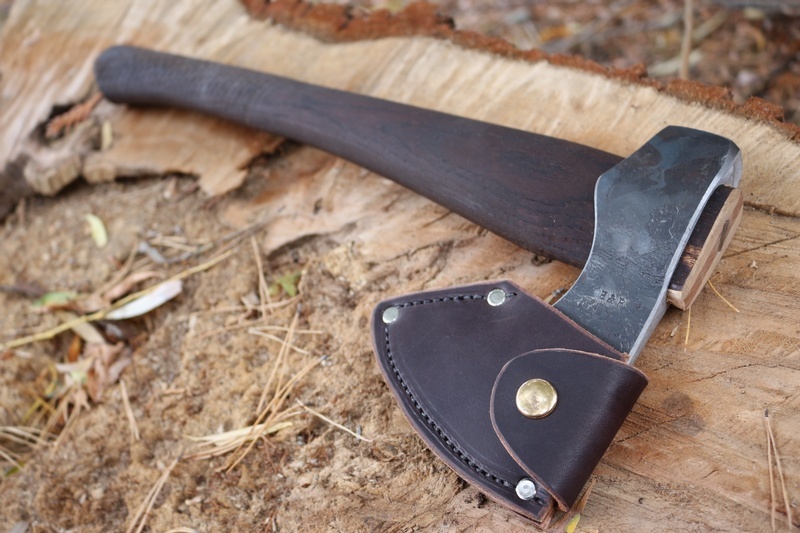 Purchase through PayPal by using the "Add To Cart" button above or use the form below to order the H and B Forge Bushcraft Axe and Cover . Feel free to contact us if you have any questions about the H and B Forge Bushcraft Axe and Cover .